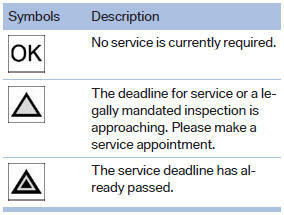 More information on the scope of service required can be displayed on the Control Display. 4. Select an entry to call up detailed information.